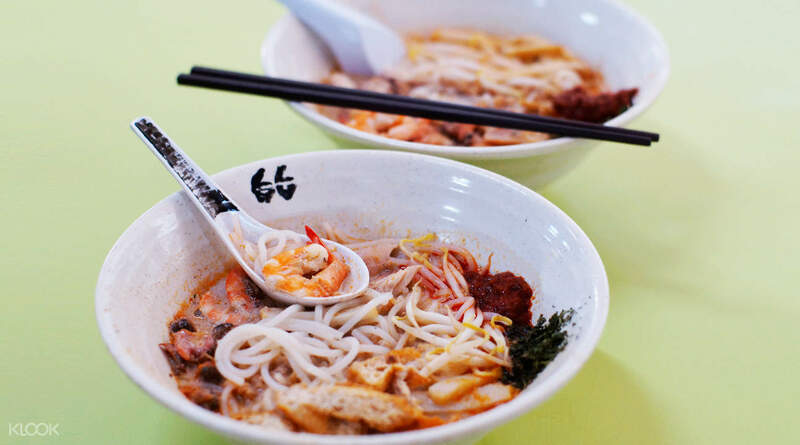 Don't miss out on authentic Laksa and various Singaporean favorites at Famous Sungei Road Trishaw Laksa! 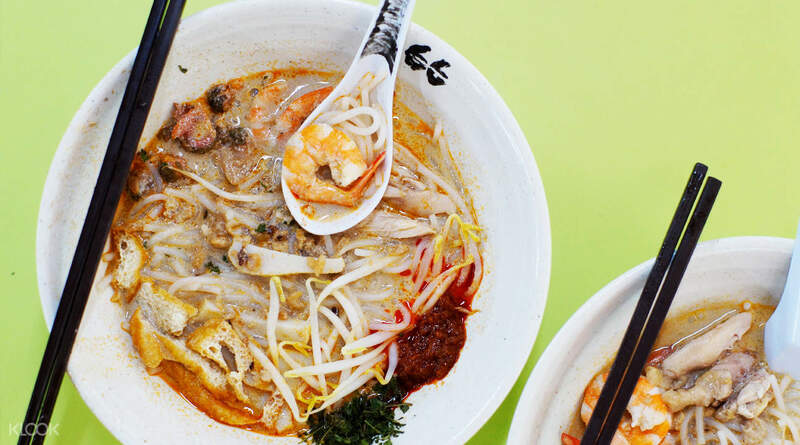 Klook exclusive: Get to try their world renowned Asia Delight Laksa at a discount when you book through Klook! Very nice and friendly store owner even long q.With klook can save more money.great value with chicken ,prawn and the laksa is yummy.I will try other dishes next time that look good. 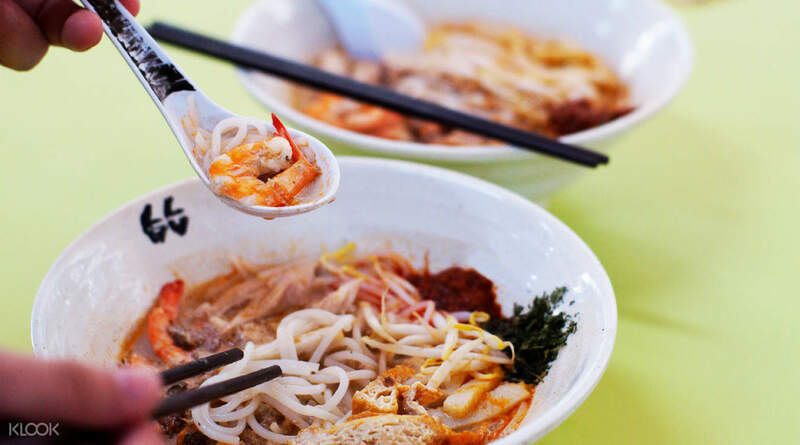 Enjoy a delicious bowl of Asia Delight Laksa when you book through Klook today! The portion was a little too small. The gravy can make do with a little more coconut gravy. This would make the gravy richer and tastier. The chilly is fragrant but not spicy. Overall the dish is nice but very good for those who love not too rich gravy and not spicy chilly. The portion was a little too small. The gravy can make do with a little more coconut gravy. This would make the gravy richer and tastier. The chilly is fragrant but not spicy. Overall the dish is nice but very good for those who love not too rich gravy and not spicy chilly. Stall owner is really friendly and will strike up a short chat with you. If you don’t fancy cockles in your laksa, remember to tell the stall owner! Worth a try for sure. 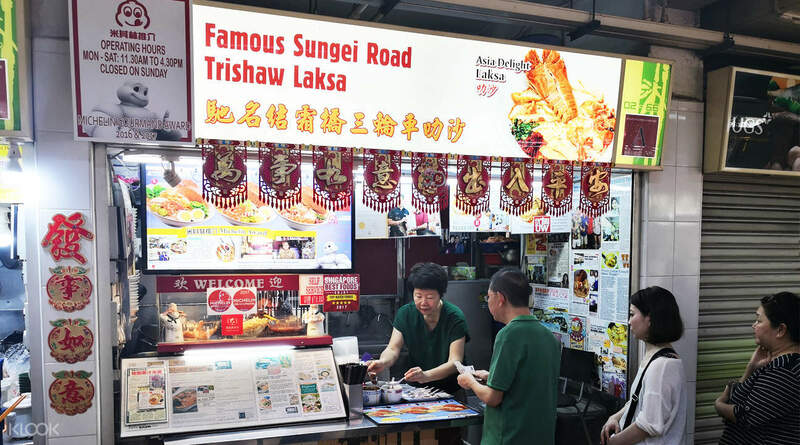 Stall owner is really friendly and will strike up a short chat with you. If you don’t fancy cockles in your laksa, remember to tell the stall owner! Worth a try for sure. Very nice and friendly store owner even long q.With klook can save more money.great value with chicken ,prawn and the laksa is yummy.I will try other dishes next time that look good. Very nice and friendly store owner even long q.With klook can save more money.great value with chicken ,prawn and the laksa is yummy.I will try other dishes next time that look good. Went there slightly earlier than lunch time to avoid the crowd. Laksa gravy is too watery. Stall uncle mentioned that he does not add too much coconut milk to the laksa gravy. Depends on individual, I prefer the laksa gravy to be lemak, not watery. Went there slightly earlier than lunch time to avoid the crowd. Laksa gravy is too watery. Stall uncle mentioned that he does not add too much coconut milk to the laksa gravy. Depends on individual, I prefer the laksa gravy to be lemak, not watery. It's not specified that the shop is located in 2rd FL. so it's little bit hard to find. A tested is good but I don't like to much. It's not specified that the shop is located in 2rd FL. so it's little bit hard to find. A tested is good but I don't like to much. 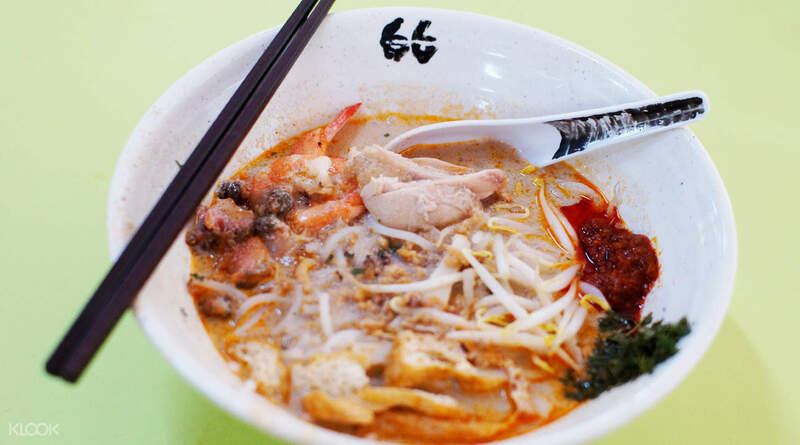 Really nice laksa, enjoyed every bit of it. Even the cockles (though I don’t normally eat those)! Really nice laksa, enjoyed every bit of it. Even the cockles (though I don’t normally eat those)! yummmmmers and definetely will eat this one again.. yummmmmers and definetely will eat this one again..